To hear Chris Alexander tell it, he’s the last person to expect behind the scenes at Toronto’s newest convention. “Well, I was never fond of conventions. To this day, I’m still not. 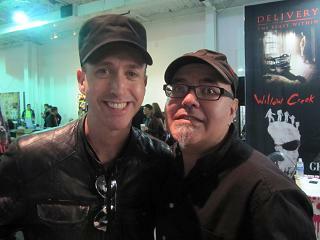 I’ve always found it a disingenuous way to meet your idols. I would rather sit down and have a beer with somebody that I dig and talk about what they do, instead of dropping down a chunk of money and see them for a fleeting moment. I just found – even back in the early days of Rue Morgue’s Festival of Fear – I just felt that I would rather be on Mars than be here.” With that in mind, Alexander (with a little help from his friends) organized the little con that could: Horror-Rama Toronto, an intimate and cozy convention that stands at the opposite polar end of the spectrum of bigger shows like Fan Expo Canada. 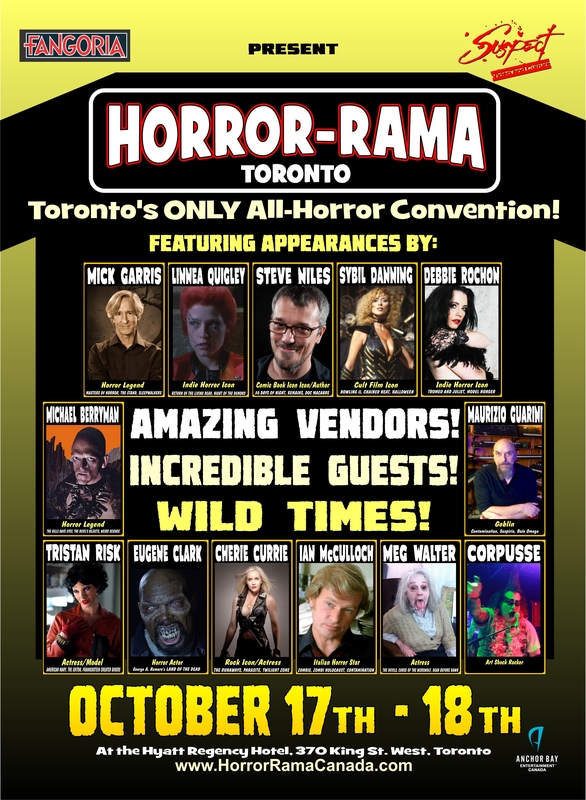 Horror-Rama takes place October 17th and 18th at The Hyatt Regency Hotel in downtown Toronto. Advanced tickets are on sale here. Keep watching for more updates and interviews, as we get closer to showtime. The guest-list is incredibly weak (if it wasn’t for Ian McCulloch and Michael Berryman, I’d find little reason to attend at all).